Dymatize has put together a special offer for fans, and regular buyers of its popular and widely available whey isolate protein powder ISO100. 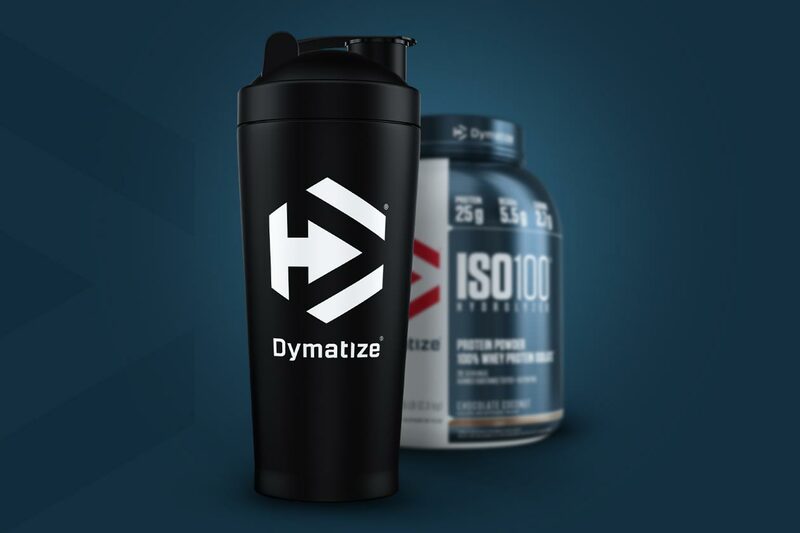 The offer is, with any purchase of ISO100 you can get a limited edition, Dymatize branded, premium stainless steel shaker absolutely free. All you have to do to get in on the promotion is purchase a tub of ISO100 from a retailer before the 31st of January next year. After that, you simply head to the Dymatize website where there is a claim page for you to upload your receipt, confirm the retailer you purchased from, and provide your email address. Dymatize’s free shaker offer is only available to US residents over the age of 18 with a shipping address within the US. The brand also says that fans looking to claim their stylish and durable stainless steel shaker should allow for four to six weeks for shipping.